Childrey is a small village in the Vale of White Horse, close to Wantage, and on the edge of the Berkshire Downs. 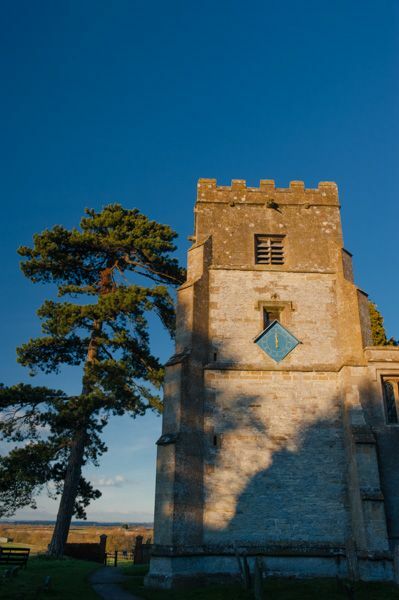 The parish church is dedicated to St Mary the Virgin, and dates to the 11th century. St Mary's is a low cruciform building, composed of a 12th-century nave, 13th-century chancel, south porch, 14th-century transepts, and a stolid three-stage west tower dating to the 15th century. Though the earliest parts of the current building are late 11th or early 12th century, it seems likely that there was a Saxon minster church here in the late 9th or early 10th century. The south doorway shows Norman dogtooth decoration and probably dates to around 1200. The south transept was refounded as a chantry chapel in the early 16th century by William Fettiplace, whose family had one of their numerous houses in the village. 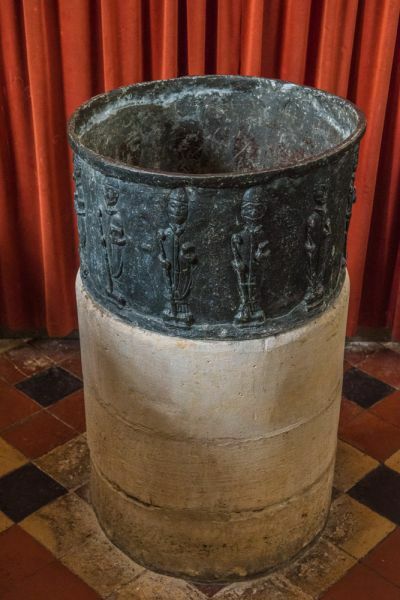 The most interesting feature of the church is a beautifully carved 11th-century lead font, thought to be unique in England. This tub-shaped font consists of a lead bowl, sitting atop a stone base. The bowl is lined with relief carvings of a dozen bishops. 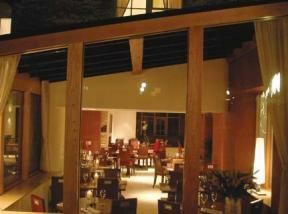 Other items of interest include medieval floor tiles and stained glass fragments, and a clock with only one hand. 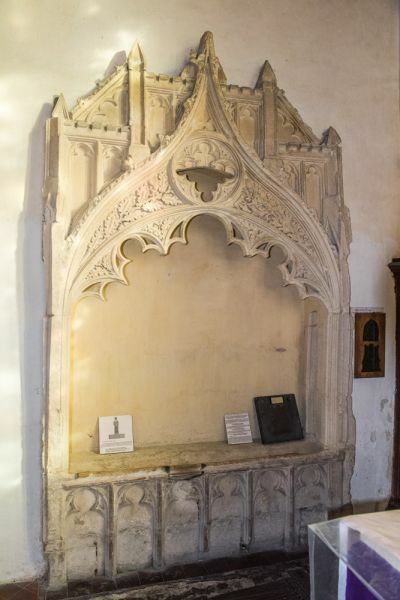 There is a late 13th-century sedilia and piscina in the chancel. Nearby stands a very nicely carved Easter Sepulchre, probably 14th century. 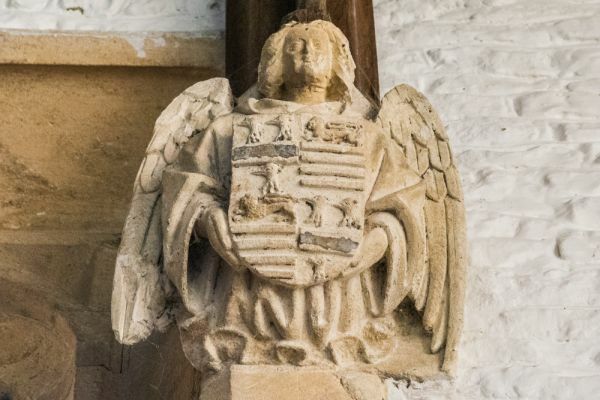 There are also rows of carved stone corbels representing angels and some very fine funerary brasses. Among the brasses is a very finely crafted memorial to William Fyndene (d. 1444) and his wife. 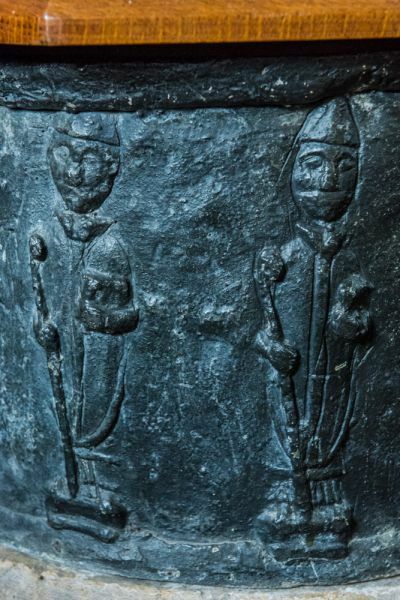 What is particularly interesting about the Fynderne memorial is that large sections of both likenesses are made of lead, like the font. 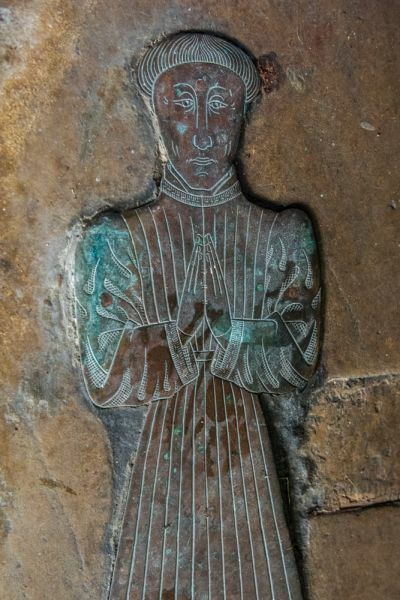 There are further brasses to Thomas Walrond (d. 1480) and his wife (d. 1477). 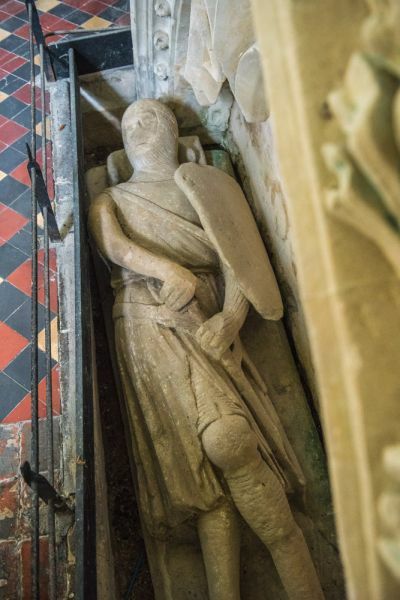 In the south transept are several very fine monuments, including that of William Fettiplace, founder of the chantry, and his wife. 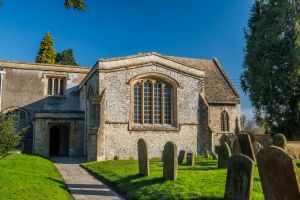 Taken as a whole, St Mary the Virgin is a delightful church, with some extremely fine historic furnishings and monuments. Note that the church is usually closed - it certainly was when we arrived on a February afternoon without having made prior arrangements!